The most senior bishop in the Dutch Catholic Church could be forced to move out of his cathedral under plans to sell the building because of falling attendances. 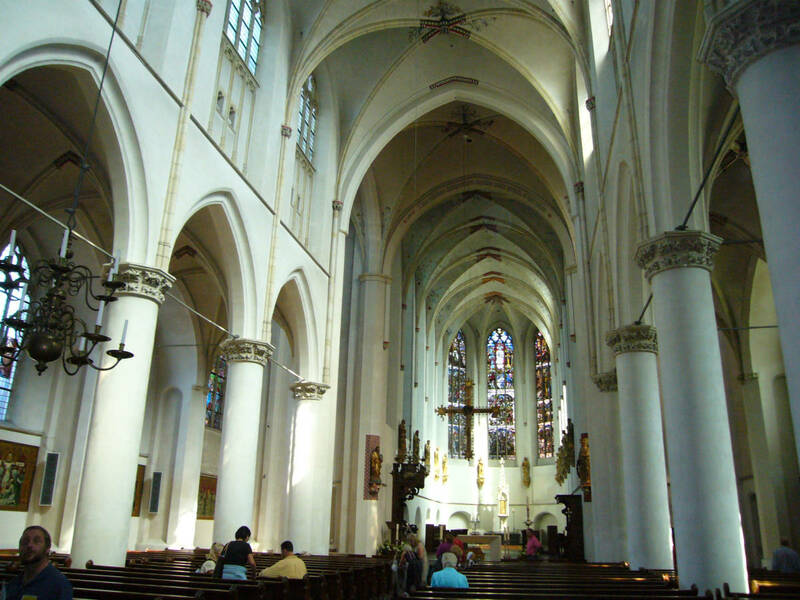 The diocesan authority in Utrecht argues St Catherine’s Cathedral has become too expensive to maintain and should be sold to the former convent next door, which is now a museum of religious art. The cathedral is the seat of Cardinal Wim Eijk, the Archbishop of Utrecht, who would have to relocate to another church if the sale goes ahead. An online petition has been started to stop the sale of the building, which has been a cathedral since 1853, and a hearing has been scheduled for February 20 to consider objections. ‘It will be the first time a bishop loses his seat because of efficiency savings, which in turn are the result of the falling number of churchgoers,’ church historian Peter Nissen told NOS. Nissen said he was aware of only two other instances of bishops in the Netherlands relocating to a different cathedral. The bishop of Roermond moved in the 17th century because his congregation had grown too big, while in 1968 the bishop of Breda moved out of a cathedral that had fallen into a state of disrepair and was later demolished. The Vatican would have to endorse the deconsecration of St Catherine’s, but this is likely to be a formality as Eijk has made no public objection to the proposed sale.